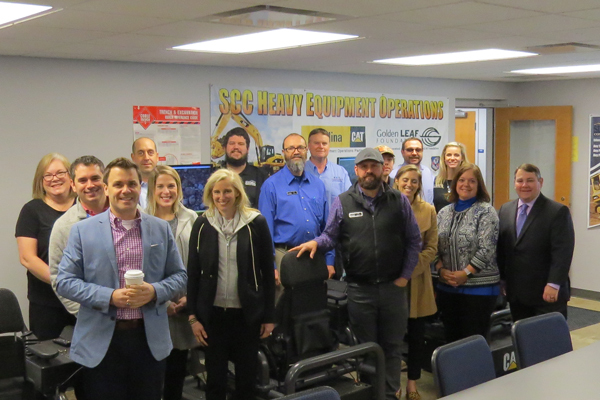 Members of EdNC and the John M. Belk Endowment organizations gained a better perspective of SCC's economic impact in Stanly County and the region. On Friday, January 18th, Stanly Community College (SCC) hosted members of EducationNC (EdNC) and the John M. Belk Endowment organizations. Guests included MC Belk Pilon, President and Board Chair of the John M. Belk Endowment, and Nation Hahn, Chief Growth Officer, EducationNC. The purpose of the visit was to give a greater perspective of SCC’s economic impact on Stanly County and the region. 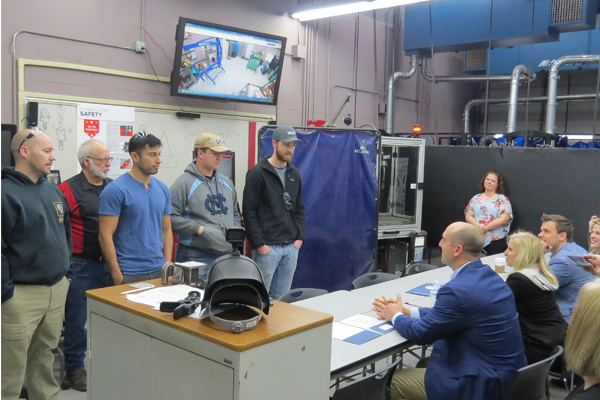 During the visit, the guests were able to see three different programs of study within the School of Advanced Manufacturing, Industry, Technology & Trades. 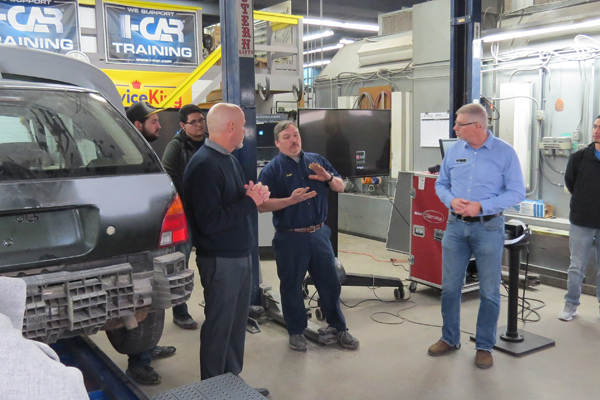 The programs included Heavy Equipment Operations, Collision Repair & Refinishing Technology, and Welding. The guests heard from industry experts, students and faculty members about the need for skilled education. 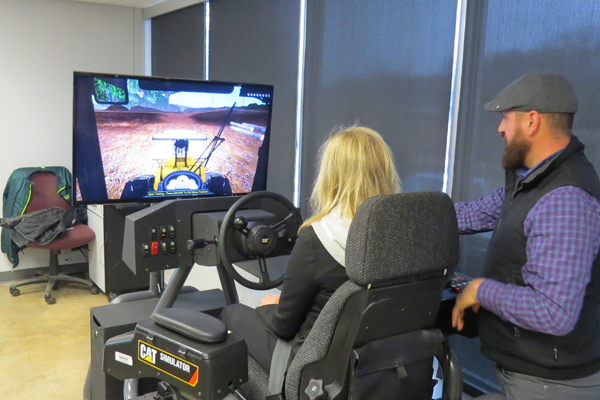 Additionally, guests were able to interact on simulators and given hands-on experience with these trades. EducationNC (EdNC) works to expand educational opportunities for all children in North Carolina, increase their academic attainment, and improve the performance of the state’s public schools. In Fall 2018, EdNC expanded their coverage into the post-secondary space, specifically focusing on North Carolina Community Colleges by visiting all 58 of the colleges. The John M. Belk Endowment is a private family foundation committed to transforming postsecondary educational opportunities to meet North Carolina’s evolving workforce needs. 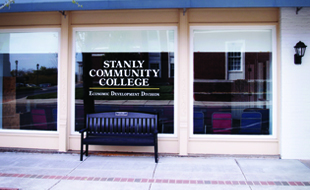 Stanly Community College (SCC) is one of 58 community colleges in the North Carolina (NC) Community College System (NCCCS). 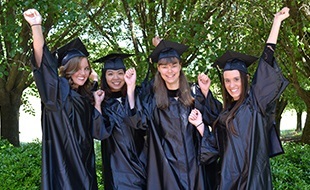 SCC values students, effective teaching, partnerships, and life-long learning. 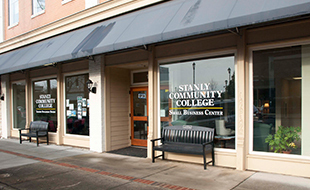 As an active member of Stanly County, the College strives to enhance the economic, social, and cultural life of the communities we serve by offering learner-centered environments that encourage access, success, and completion. Visitors from EdNC and the John M. Belk Endowment were able to experience hands-on trades with the use of simulators. Industry experts from Service King spoke of the need for skilled workers. Welding students spoke about about their experience at Stanly Community College.